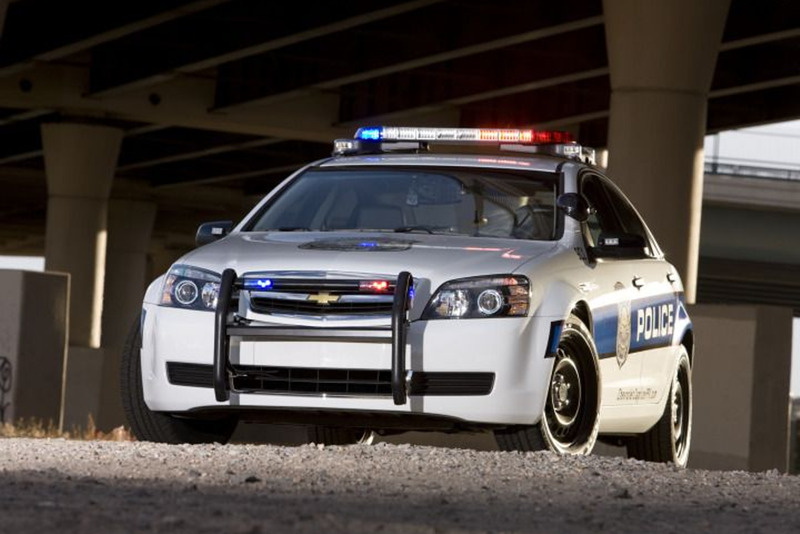 General Motors executives announced they plan to begin production of a new rear-wheel drive Chevrolet Caprice Police Patrol Vehicle today at the International Association of Chiefs of Police conference in Denver. The 2011 Caprice PPV will be available in two configurations: a 355-hp V8 that generates an estimated 384 lb-ft of torque and a tamer V6. An undercover version will also be available. Regardless of how it is configured, the sleek Caprice PPV is likely to make an impression on traffic scofflaws. Revealing the concept car, GM executive Jim Campbell touted the car's bold and commanding presence. He asked, "Can you imagine this baby in your rearview mirror?"